Read more Is It Better To Give Or Receive? We hope you are greeted by gratitude daily. Please know what a blessing you are and how your hugs, smile, and care continue to touch our hearts forever. Thanks for all you do and give. Yolanda helped me get back to “normal” with my therapy. Somedays I didn’t know whether I could do what she asked of me but with her confidence and creating a positive atmosphere, I accomplished what I needed to do to return home. Yolanda was very nice and upbeat which helped everyone in the healing process. “Thank you for putting up with me.” I am forever in her debt. Our Vision at Best Days Senior Living is dedicated to providing housing to seniors who can no longer live alone due to a physical or cognitive impairment. Best Days Senior Living does this in a warm, safe, homelike environment. We create a community that promotes respect and independence, while preserving the quality of life for seniors. 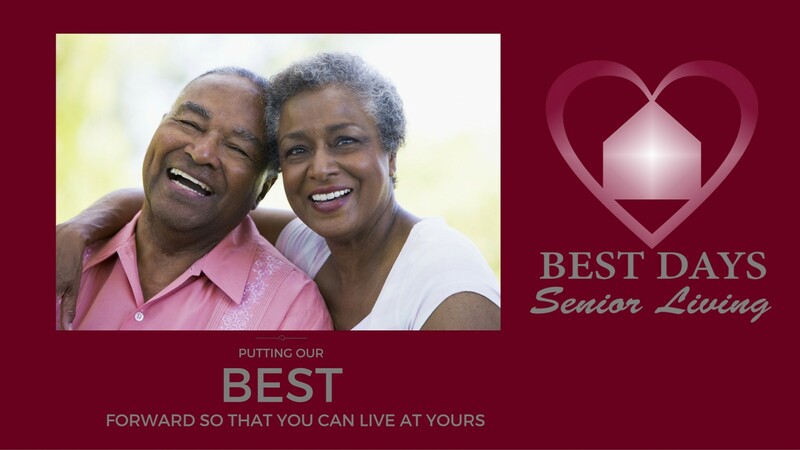 Our passion is to see seniors live life to its fullest.